road map: low-carbon Thailand (LCT) นี้คือความร่วมมือการวิจัยระหว่างมหาวิทยาลัยธรรมศาสตร์ และมหาวิทยาลัยเกียวโต (Thammasat University’s Sirindhorn International Institute of Technology (SIIT), the Asian Institute of Technology, the National Institute for Environmental Studies at Japan’s Kyoto University, and the Mizuho Information and Research Institute in Japan). วิธีการวัดต่างๆ ถูกจัดเรียงใน 6 กลุ่ม : clean power, green industry, smart passenger transport, effective freight transport, Thai-style comfortable houses, และ modern buildings. ภายใต้ Scenario ที่ไม่มีการลดก๊าซเรือนกระจกเลย ( the 2050 BAU (business-as-usual) scenario) ประเทศไทยจะปล่อยก๊าซเรือนกระจกสูงถึง 769,896kt-CO2 (kilotonnes of carbon dioxide) = 4.6 เท่าของปีฐาน 2005. 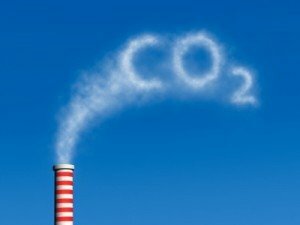 Based on primary energy demand by sources, total GHG emissions in the BAU are projected to increase from 178,726 kt-CO2 in 2005 to 769,896 kt-CO2 in 2050. The AIM/Enduse modelling results also show that GHG emissions from the power sector will be 321,514 kt-CO2 in 2050, accounting for 41.8 per cent of total GHG emissions, and GHG emissions from the industry sector will be 199,084 kt-CO2, accounting for 25.9 per cent of all GHG emissions. In 2050, GHG emissions from passenger and freight transport are also found to be about 4.6 times the amount in 2005, and their share will be 25.6 per cent of total GHG emissions. 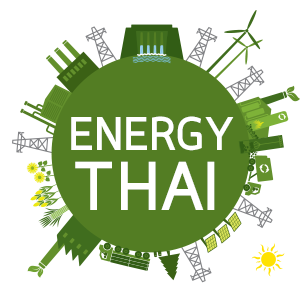 In 2050, the AIM/Enduse results estimate that total GHG emissions in Thailand will be reduced from 769,896 kt-CO2 in the BAU scenario to 551,575 kt-CO2 in the 2050 LCS (a reduction of 28.4 per cent of total GHG emissions) through the adoption of countermeasures for GHG emissions in the actions of clean power generation, green industries, effective freight transport, smart passenger transport, modern buildings, and Thai-style comfortable houses.